Nokia has released a series of Dual SIM mobile phones, for which Nokia C1-00 is the cheapest among them. 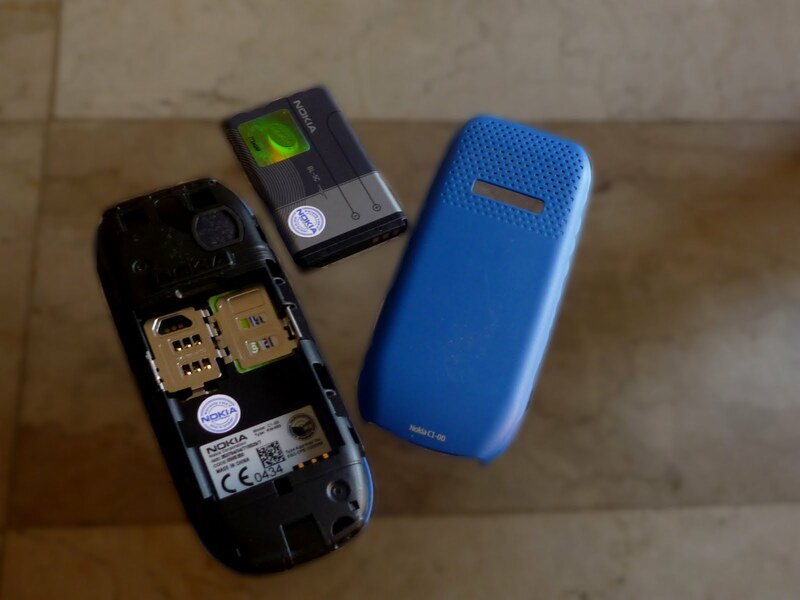 Nokia C1-00 is tagged as the Finnish company's first ever mobile phone that features two SIMs in one device. Nokia C1-00 is pretty much a basic phone with basic features. 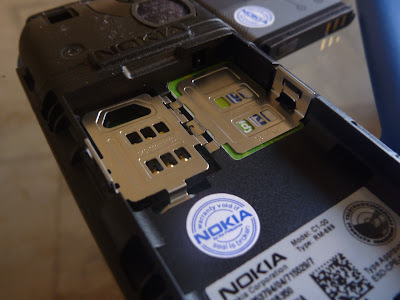 Even if it is able to house two SIMs in one device, it does not allow Dual Standby, so you have to hold a key to switch from one SIM to another. Since this is the case, the best way to maximize it is to just divert calls from the inactive SIM to the other one. In addition, you get to store up to 250 SMS and up to 500 phonebook entries, not including the enabling of the multiple phone book feature. 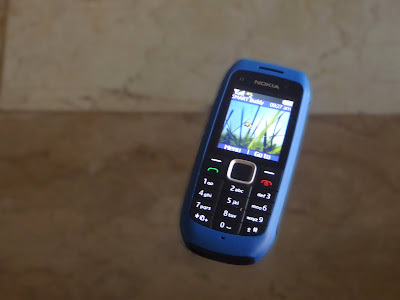 What's also a first with this Nokia's device is that it gives six weeks of standby time and 13 hours of talk time -- the longest in Nokia phone history. From my experience, I was able to use it heavily for calls plus SMS, and still lasted for ~35 hours and 55 minutes. The thing I missed with older Nokia phones is the flashlight... and Nokia C1-00 provides us with this. It comes handy in times of need, ain't that right? Aside from that feature, it also has a calendar with reminders and a loud speaker that can play MP3-grade ringtones. Let's not forget the standard calculator and an additional speaking clock feature included inside. One last feature I need and love is the Spreadsheet, which allows you to enter your expenses categorically (i.e. food, transportation, clothes, etc.) so you know how much your total expenses for the month or for the year. As for the form factor and weight, it's super light and handy. The outside case is something to be thankful for, because it is scratch proof. The keypads, although dust resistant, can be quite a challenge in pressing due to the semi-hard (and noisy) tactile feeling it gives. The Nokia C1-00 comes in Red and Medium Blue in the Philippines and is priced at only Php2,070. With the features mentioned above, you actually get your money's worth. Nokia C1-00 proves that the quality, durability, longevity, and style of a phone does not always necessarily equate to how expensive a phone is. Although C1-00 only has basic features, I can say that it is a great way to jumpstart the Dual-SIM featured phones by Nokia. Soon enough, the other models in this series will come out one by one, and will provide newer and better features for the SIM-hungry users. I feel the most important feature for any dual-sim phone is dual standby. If a phone can't do that its virtually useless. Oyeah!! Looks like I have an alternative if my Cherry Mobile P1 conks out. 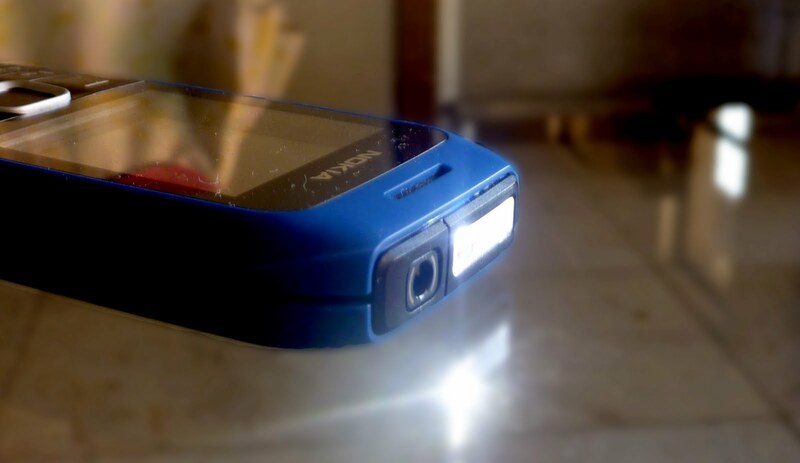 Nokia still has the best features...even their cheap models.